A Chill in the Air? 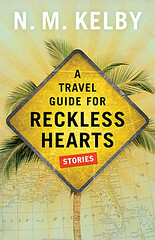 The New York Times Book Review praised N. M. Kelby’s A Travel Guide for Reckless Hearts yesterday as “an artful collection of stories.” To find out when and why N. M. is moving back to the Twin Cities, see her interview with Amy Goetzman in MinnPost. The Minnesota Gophers football team wraps up the regular season with a trip to Kinnick Stadium in Iowa City, Iowa, on Saturday. The Gophers (6–5) will face off against the Iowa Hawkeyes (9–2) in the schools’ annual battle for Floyd of Rosedale. Kickoff is slated for 11:02 a.m.
Get your augers and rods ready! Aitkin’s annual World Famous Fishhouse Parade on Friday, November 27, celebrates the coming ice fishing season. The event features wacky and wonderful ice houses displayed on trailers and paraded through downtown Aitkin as thousands gather to watch the yearly ritual procession. 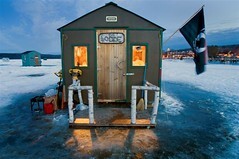 For a glimpse into the quirky world of ice fishing, check out A Hard-Water World: Ice Fishing and Why We Do It, with photographs by Layne Kennedy and text by Greg Breining. And what have this region’s families been doing, once they’ve got their deer? 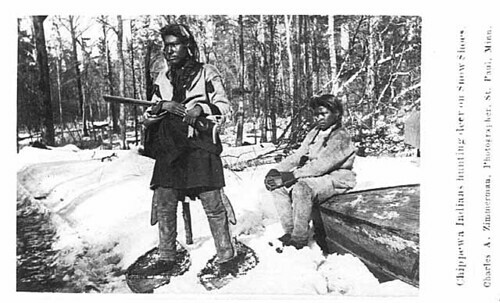 The earliest recorded accounts of Ojibwe people tell of the cook fire where a single large birch-bark container held stew of some kind. This recipe for venison stew, recorded in 1985, is from The Minnesota Ethnic Food Book by Anne R. Kaplan, Marjorie A. Hoover, and Willard B. Moore. 1. Melt lard in Dutch oven or heavy 4- to 5-quart pan. Pat venison pieces with absorbent paper to dry. Dust meat with flour and brown in hot lard. Do not crowd pan. For best browning, do meat pieces in 2 batches. 2. Add bouillon and water. Cover pan. Simmer for 1 hour, 15 minutes. Add onions, carrots, wild rice, and more water, if necessary. Cover and simmer for additional 1/2 hour. 3. Add potatoes, celery, salt, and pepper. Cover and simmer until potatoes and celery are tender. Test meat for tenderness. May need to cook an additional 15 minutes. 4. Gravy is usually of right consistency for serving. Can thicken if desired. VARIATIONS: Vegetables can vary as to amounts and kinds. Also, some cooks use more wild rice, while others use more liquid and call the combination soup. 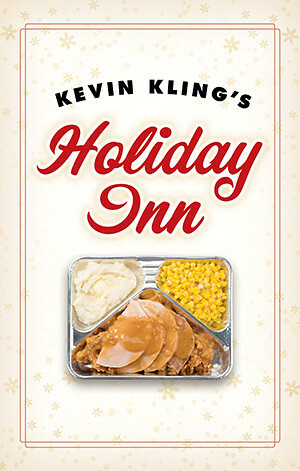 Renowned Minnesota playwright and storyteller Kevin Kling will be reading from and discussing his new book Kevin Kling’s Holiday Inn at the Minneapolis Central Library on 11/12. The doors open at 6:15, and the show starts at 7:00. And it’s free! Seating is first come, first served. For a taste of what you’ll hear on Thursday, take a look at the book’s hilarious prologue. November marks the season of winter baking and holiday meal planning–food is on our minds these short days. Mark your calendar now for the “Hungry Planet Exhibit: What the World Eats,” opening this Wednesday, November 11, and running through May 2010, at the University of Minnesota’s Bell Museum of Natural History. The grocery lists and dining tables of people around the globe are the subject of this provocative exhibit based on the national, best-selling book by Peter Menzel and Faith D’Aluisio. “Hungry Planet” combines mesmerizing photos with hands-on displays that explore issues of food in the 21st century–what people eat and where it comes from, as well as how different cultures approach the growing and processing of food. “Tis the season of holiday entertaining and cooking. If you’re looking for ideas on how to make your parties and food spectacular this year, check out The Affair, a culinary extravaganza at the Minneapolis Convention Center this weekend. The event features experts on food, wine, cheeses, chocolates, table settings, and more. Meet the Star Tribune’s Taste editor and author of Come One, Come All: Easy Entertaining with Seasonal Menus, Lee Svitak Dean, at 11:45 both days as she shares her entertaining tips. 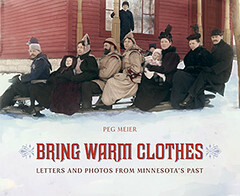 Kim Ode, also of the Star Tribune and author of Baking with the St. Paul Bread Club, will lead a demo on holiday cookies at 12:45 on Saturday and Sunday. Bon appétit! The Center for Democracy and Citizenship at Augsburg College has just released a study that finds Minnesotans are leaders in voting and volunteering in the United States. 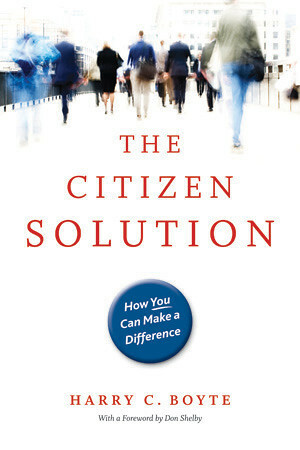 The study, which you can download, was cowritten by codirecter of the center Harry Boyte, who is also the author of The Citizen Solution: How You Can Make a Difference, a hands-on guide to community activism using examples from Minnesota. 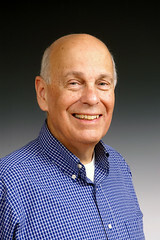 Guest blogger Iric Nathanson is the author of the new book Minneapolis in the Twentieth Centry: The Growth of an American City. In my South Minneapolis neighborhood, the lawn signs are dueling during these final days of the city election campaign. The red ones are urging a “no” vote on Amendment 168 on November 3, while the blue ones are calling for a “yes” vote on the same measure. The controversial amendment to the Minneapolis charter abolishes an obscure city agency known as the Board of Estimate and Taxation, which sets the property tax levy for the city of Minneapolis and its Park and Recreation Board. Across the river in St. Paul, there are no “yes” and “no” signs because that city does not have a Board of Estimate and Taxation. There, the city council and the mayor set the tax levy. Unlike Minneapolis, where the voters elect the members of an independent Park Board, the St. Paul park system functions as just another department of city government. While they may be known as “twins,” our two central cities are quite different when it comes to their governmental structures. In St. Paul, municipal government is relatively straightforward, with a mayor who oversees the day-to-day operations of city government and a seven-member council that functions mainly in a legislative capacity. In Minneapolis, the organizational chart in city hall is considerably more complicated. Here, the mayor and our thirteen-member council have worked out a delicate power-sharing arrangement, while independent agencies like the Board of Estimate and the Park Board function as mini power centers. The current brouhaha over the Board of Estimate and Taxation is the legacy of more than a century of battles over charter reform in Minneapolis. Year after year, the “no” votes have prevailed at municipal elections as reformers have tried but failed to overhaul the city’s convoluted structure. If history is any guide, the “no” votes are likely to prevail again when it comes to Amendment 168 on the Minneapolis election ballot.